Paxtons has always offered a full after sales service to our customers, but increasingly we are receiving repair requests from other homeowners with window and door problems. 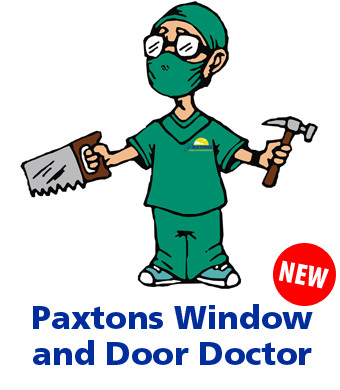 The new Paxtons Window and Door Doctor service is available to anyone with problems with their windows, entrance doors, patio and French doors, conservatories and orangeries. The windows and doors can be any age and made by any manufacturer. UPVC, aluminium and timber doors and windows are included in the service, along with specialist or feature glazed openings, atriums, pool enclosures and shop fronts. Repairs to double and triple glazed panels can be arranged with guaranteed replacement units produced to restore insulation values, if required. Based at our Saffron Walden office, experienced mobile engineers offer a full repair and maintenance service using well-stocked Paxtons vehicles. After a full assessment of the problem, a detailed quotation for all work is prepared for customer approval. If the quotation is acceptable, the repair work is carried out immediately, avoiding the need for a further visit. On occasions when specialist parts are required, an appointment can be made for the engineer to return. As members of Assure, DGCOS and Trustmark, Paxtons has exceptional product knowledge, specialist skills and understanding of the domestic and commercial window and door sectors. The launch of the new Paxtons Window and Door Doctor service has allowed Paxtons to apply their twenty-five years in the business to a window and door repair market that currently has no clear provider. 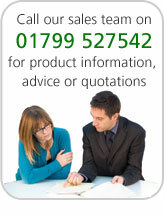 For more information, or to arrange for an engineer to call, contact Paxtons Window and Door Doctor on 01799 527542.